Perfect the art of doing Nothing. In case we can't pursuade you to simply chill out, or perhaps you have some teenagers needing more 'action', or perhaps you have a need to explore; Here are some suggestions on what you can do in and around the area. Ras Kikadini has access to the most idyllic little cove beach where you can paddle around the rock pools at low tide, or swim out and snorkel at low tide. We do have snorkels and masks at the house for you to use. There are also sunbeds on a cliff top platform where you relax and sunbathe and read in the seabreeze. 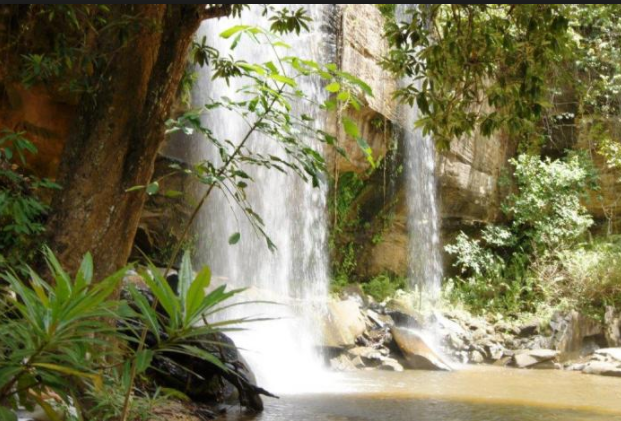 Sheldricks falls is an easy hike inside the Shimba Hills National park. Depart from Ras Kikadini at about 9.15am and reach the main gate before 10am. Pay entrance $20 or Ksh 300 for citizens. Drive to the look out point where you start the downhill walk to the falls. Bring water and snacks and a swimsuit and enjoy splashing around under the cascading falls. Hike back up the hill and give the guide a small tip. Then drive back through the park and if you want to have lunch, onto Kutazama which has an incredible view over 'Africa' and an excellent 3 course meal. Or you can drive back to Ras Kikadini in time for lunch at the house. The picture says it all. Just down the road is the phenomenon of the Africa shaped rock pool. 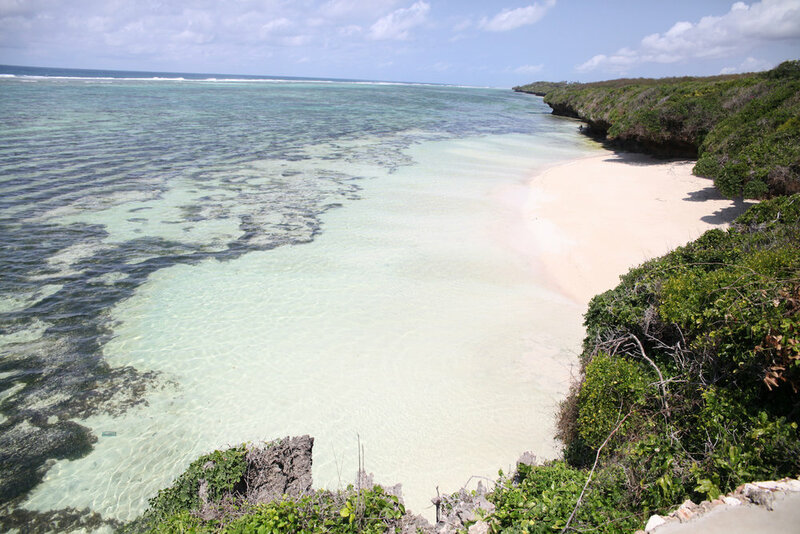 At low tide it appears as a defined shape of Africa and is a large, deep rock pool where you can snorkel and swim. To get here drive to Twiga lodge and campsite about 10 - 5mins south down the Waa beach road. Here you will find a guide to take you there for a small negotiable fee. One has to check the tide tables to see what time of the day is best to go. Ras Kikadini is way off the beaten track and is only accessible by private vehicle. If you don't have a car and want to have your own wheels we can suggest you pick a rental up when you arrive in the airport. This must be prearranged. Otherwise you can call a taxi whenever you need to do an excursion. Transfers can be arranged at a fee with our recommended taxi service which we can arrange or you can call direct 0726126204.